A combination of structural mapping and isotopic age-determination studies provides the basis for a new interpretation of the Caledonian geology of northem Ny Friesland. 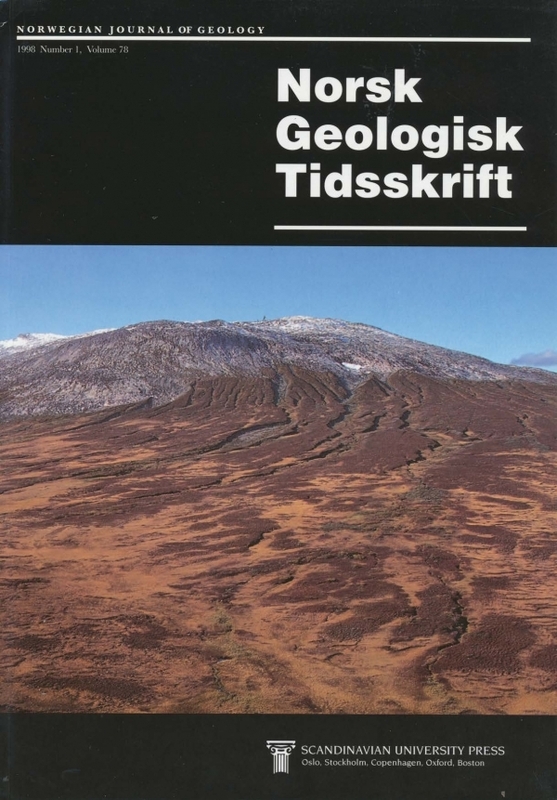 The new mapping has defined the northern extension of the Atomfjella Antiform, a major N-trending fold that dominates the structure of the Ny Friesland Orogen of eastern Svalbard. This antiform folds a stack of thrust sheets, each containing a basement composed of ca. 1750 Ma old granites overlain by metasedimentary rocks. Four tectonic units (the Rekvika, Nordbreen, Dirksodden and Mosselhalvøya nappes) and one major unconformity have been identified. W -vergent thrusting, as suggested from the geometry of the thrust stack, with excision of the nappes towards the east, was followed by strong N-S sinistral ductile shearing and hinge-parallel extension, resulting in a well-defined foliation and a N-S penetrative mineral stretching-lineation and also the formation of hinge-parallel sheath folds. F. J. Hellman, Institute of Geology, Lund University, Sölvegatan 13, S-223 62 Lund, Sweden.